Nor’east Trail Runs presents the Ethan Allen 24, New England’s only fixed-time track race! 6, 12, & 24-hour options available! 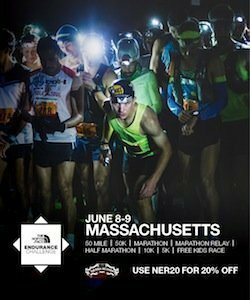 MCM Timing, free participant photos, fleece jackets for all distances & awesome swag! USATF Certified & Sanctioned course/event IAU Bronze Label 2019. Course certification number VT18004JK. The course is a 397.63-meter all-weather, fully-lit track 6/7 lane track. 100k and 100-mile splits are also certified in both directions. There will be a turnaround every 4 hours.